It's that time of year again... the time were I get to bust out my absolute favorite vintage leather moto jacket from Grey Dog. I've been rocking this baby for two years now. This trusty jacket had gone on several NYC adventures with me and I know this fall/winter won't be any different. I love how I can throw a jacket like this on anything and it instantly looks cool. Paired it with this dress by Lovers and Friends, a rad brand from LA and this beyond beautiful bag by Isabella Fiore. 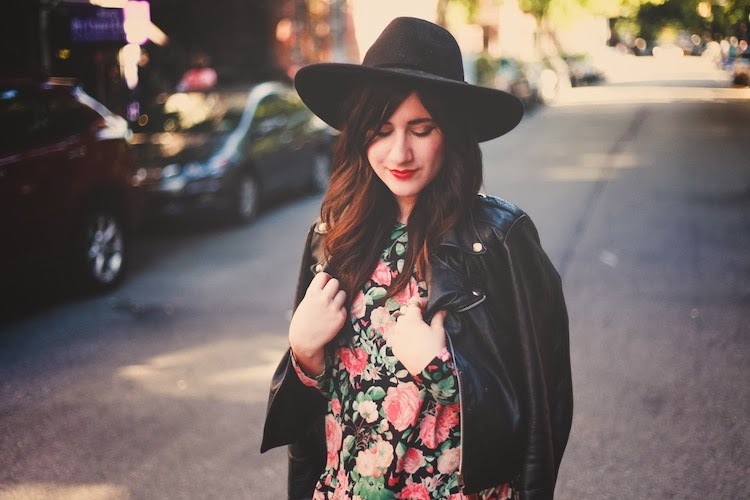 Florals + leather will always be a favorite combination of mine. Anyway, hope you all are having a fantastic day! That dress is just gorgeous. Bonnie you look really wonderful! This outfit is so amazing, I really love it! 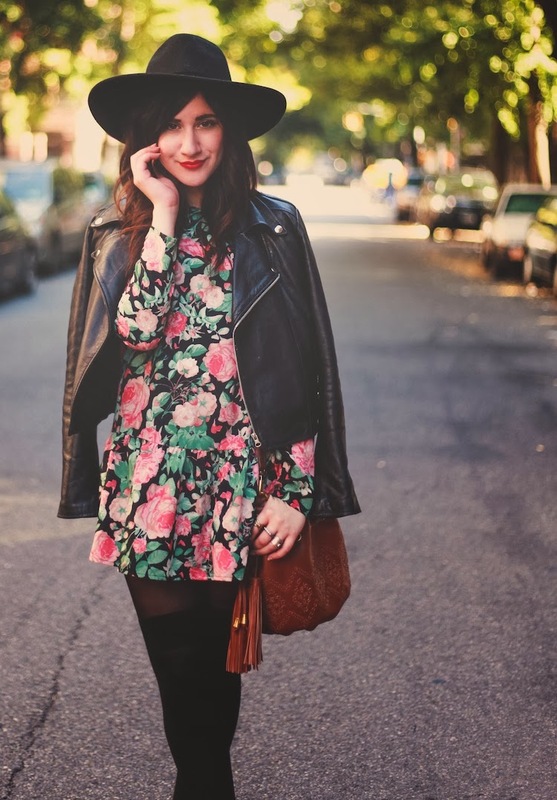 Amazing jacket <3 loving the florals too. Definitely a killer combo, these photos are beautiful! Love it!!!! So cute <3 as always! I love this feminine edge look. The leather jacket really makes the outfit. love this outfit so much as it's sweet yet cool! 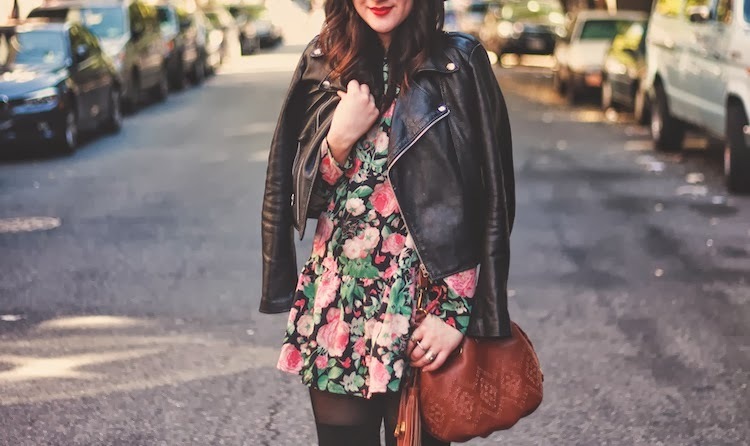 i love the floral pattern with the leather. so cute!